Every Fall, Polar Bears International conducts live, free broadcasts from the tundra during the annual polar bear migration in Churchill. Meet and talk with world-renowned scientists and educators—as arctic winds shake the buggies and polar bears prowl outside. View the most recent web cast schedule. The Edmonton Valley Zoo has participated in the 2012, 2014, and 2016 Polar Bears International Climate Alliance. 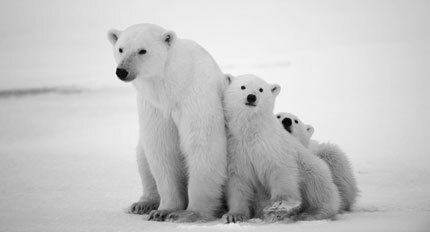 Find out more about Polar Bears International. Learn more about how the Edmonton Valley Zoo, an Arctic Ambassador Centre, supports Polar Bears International.